STAR-H Corporation is an industry leader in custom, semi-custom, and configurable antenna solutions. Specializing in ultra-wideband systems, low-profile antennas, and Unmanned Aerial Vehicle (UAV) solutions, we offer both products that can be tailored to different applications as well as the ability to generate custom solutions for highly unique problems. We also offer a variety of solutions for commercial operations and consumer wireless applications on both small and large scales. We are committed to excellence and to keeping pace with the rapidly-evolving needs or our customers. Our engineering team takes pride in not only the final product, but also the process to achieve that end. We work with each client individually to ensure that requirements are met and that smooth deliveries are a norm. Please see below for some of our recent highlights and news, and explore our site to see how we can be of help to you. STAR-H understands that, as unmanned aerial vehicles (UAV) and unmanned aerial systems (UAS) are used for more diverse and extreme applications, their communications requirements also become diverse and complex. We carry a range of antenna solutions specialized for the tight operational and mounting requirements of UAV aircraft, and are constantly expanding our line as we realize potential new uses. A leader in advanced RF Spectrum Management and Cognitive Radio systems, STAR-H has developed unique hardware and software systems for monitoring, managing, recording, and measuring, and if necessary controlling, the ambient RF spectrum in real time. SpectraStar™ provides the capability for detailed management and characterization of RF space for radio optimization and also range testing, and it's high level of flexibility allows adaptation of the system for virtually any program requiring high-precision real-time spectrum management. STAR-H's 2.4 GHz Low Profile Antennas can be integrated with wireless access points for Wi-Fi networking, attached to or installed in ceilings where unobtrusiveness is important. 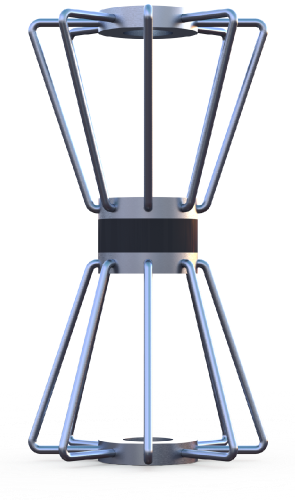 STAR-H's signature line of optimized extremely wide bandwidth (”Double Egg-Beater”) antennas provide a superior solution for communications or measurement and testing systems requiring large instantaneous bandwidths with very flat impedance requirements. 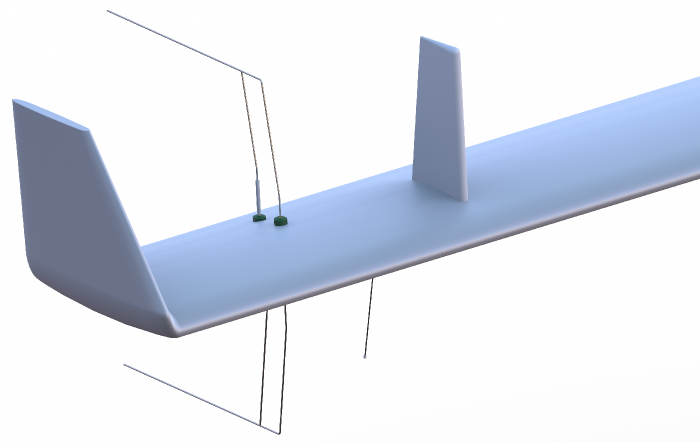 By using computer optimization techniques, STAR-H engineers were able to design a unique wideband dipole antenna with low VSWR, high efficiency, and lightweight rugged construction. It has been a few years since STAR-H took on a project to design and build a high frequency, high power antenna system for the National Astronomy and Ionosphere Center (NOIC) to use at the Arecibo Observatory. The system is geared towards ionospheric research, and will be used for a few weeks each year. It consists of six arrays of large antennas to be installed inside of the Arecibo Observatory primary reflector dish, plus a subreflector net that hangs above the primary reflector dish.